People often ask me to define folk, Americana, folk-rock, or alt-country. I understand the confusion: the nuances are there, but for many casual listeners they can be pedantic or unimportant. It doesn’t help that many of those genres share traits, with the difference only lying in the emphasis of this one or that one. Then there are the grey areas. However, sometimes an artist comes around that fits the bill exactly. Keyan Keihani, for instance, is an alt-country artist through and through. Keihani relies on country vibes, full-band arrangements, pedal steel, organ, rock-style songwriting (verse/chorus/verse), and modern melodies in Eastbound–which is exactly what alt-country bands are known for. The Jayhawks, Ryan Adams, and the Old 97s are all examplars of the modern version of the sound that The Byrds, CSN&Y, and Buffalo Springfield helped invent. But just because something can be named doesn’t mean it’s not exciting and interesting. Keihani’s vocal melodies and tight arrangements create a memorable, easygoing record that invites you to press repeat. “Don’t You Ever Leave” is a perfect example of his sound. Swooping pedal guitar, insistent drumming, and honkytonk piano come together to create something much greater than the sum of their parts. Keihani ties all these parts together with his smooth, evocative tenor, giving a gravitas to the track that transforms it from solid to excellent. The wistful “Same We’ve Been” ties twinkling piano and treble-heavy mandolin together for a romantic vibe; “Good Country Night” turns up the honkytonk without getting abrasive, making for a song that’s just a ton of fun. Keihani’s debut album shows a maturity unexpected in those putting out a first collection of tunes. His deft songwriting touch allows traditional instruments and well-known moods to be invigorating and interesting. His vocals allow people who might not otherwise get into the genre an in. The whole album comes off as an assured, welcoming set of tunes. 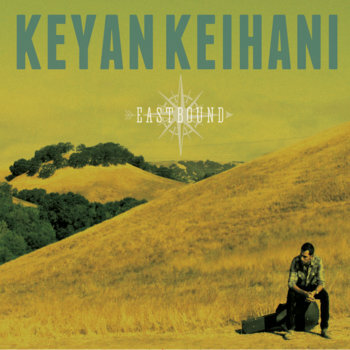 Keyan Keihani may have just said hello with Eastbound, but it sounds like he’s got a lot more to say.